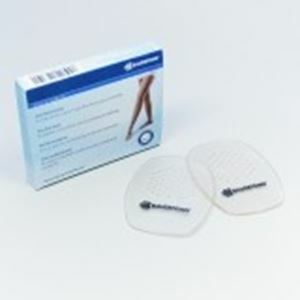 VenoTrain Non-Slip sole is used for high heeled shoes or shoes with smooth lining. The anti slip sole can be just put in front of the shoe. It gives a secure and soft cushioning to your steps. Transparent cushioning fits all standard shoes. These soles can be washed and reused.